When I shop for holiday decor these days, I try to find fun items that I can use year round. 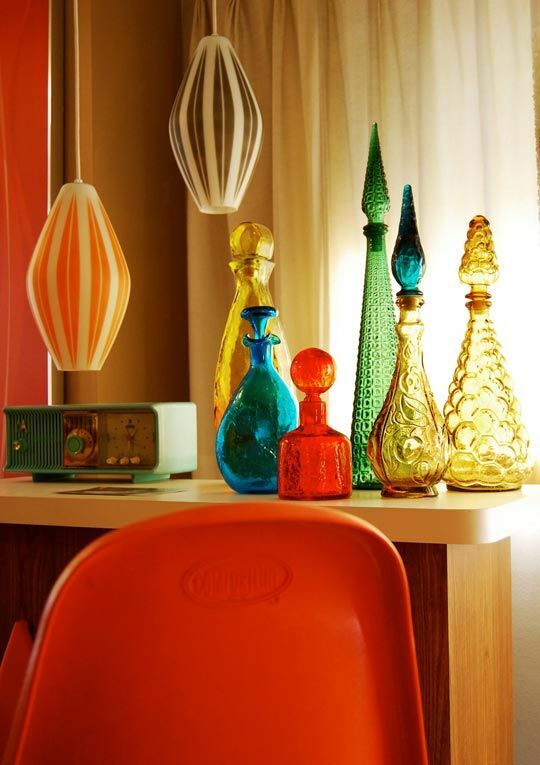 Glass decanters from the 50’s are a perfect example! 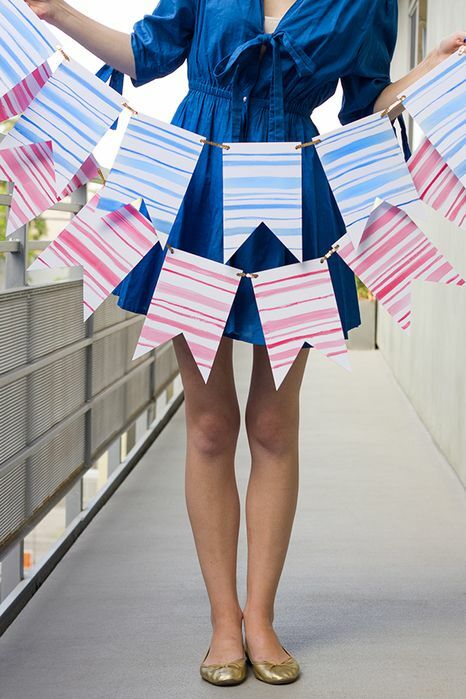 They give your decor a fun, genie-in-the-bottle vibe and add just the right touch of color. Sparkle baby, sparkle! 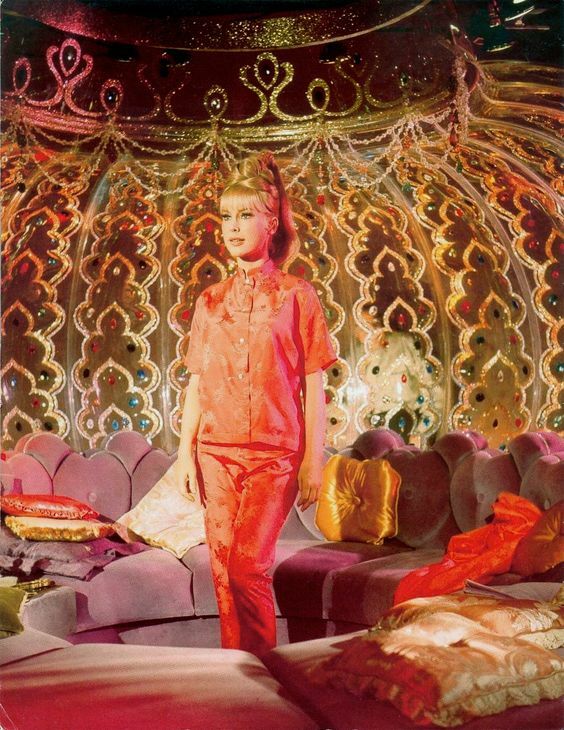 When I was younger, I used to love watching “I Dream of Jeannie”. Classic Amelia Bedelia behavior! She would always try to help her master, which would inevitably turn into a mess. Somehow, through all the twists and turns, things would turn out for the best. I loved being a part of the journey and enjoyed all of the characters on the show. Did you ever see what the inside of her genie bottle looked like? 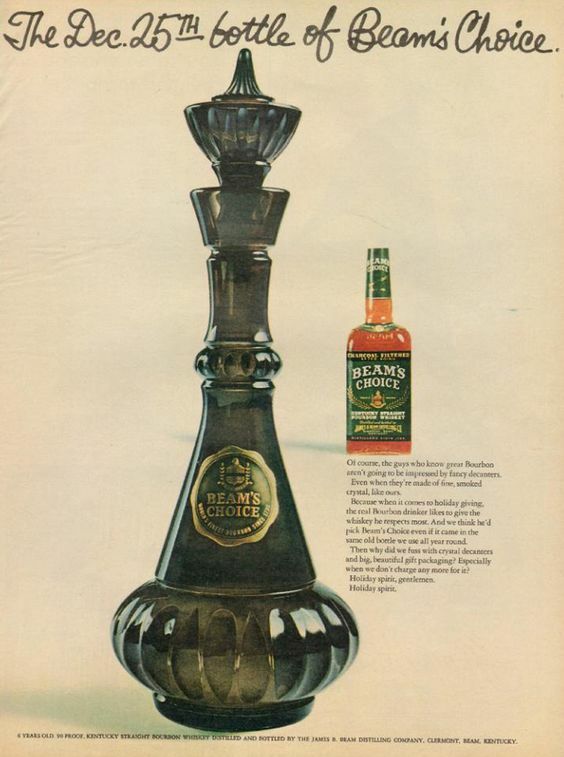 The famous bottle from “I Dream of Jeannie” was only a store bought 1964 Jim Beam whiskey decanter. The decanter was originally designed by Roy Kramer for the Wheaton Bottle Company. One of the show’s prop people hand painted it and voila! Instant genie home. 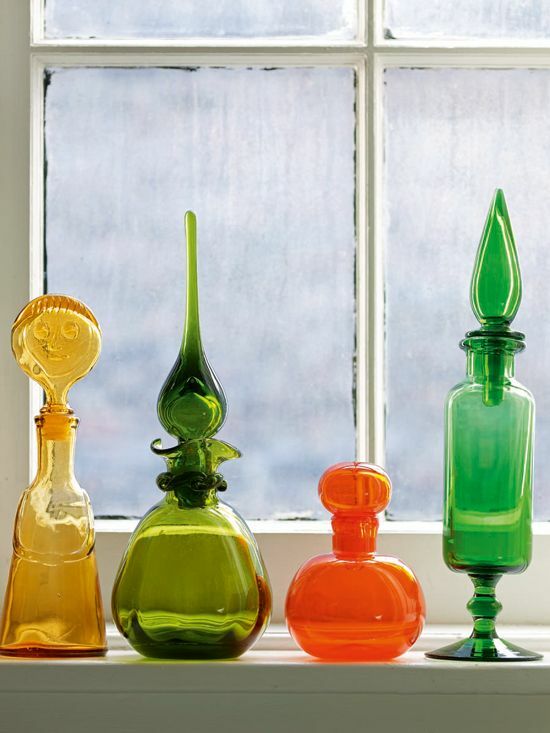 Grab a few glass decanters in sad shape and add your own creative flair. Use enamel paint, which is available at most craft stores. Firstly, one of the things I love most about vintage glass decanters is their style versatility. 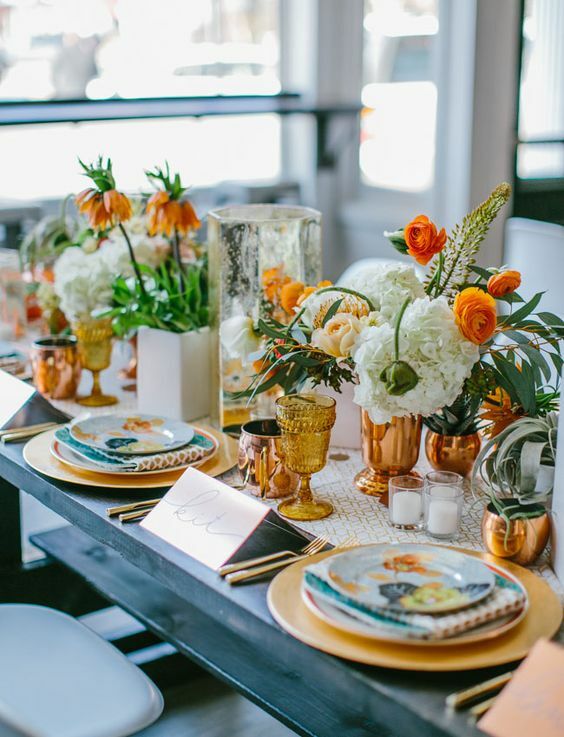 They work with maximal or minimal decor. If you’re rocking more of a Bohemian vibe, these bottle give a rich, Moroccan flavor. The whole Arabian nights feel is not complete with out one. They are available in gorgeous jewel tones and look amazing clustered together. Next, if you’ve got more minimal decor going on, be sure to add at least one or two of these to your bar. What a great hostess gift when you want to be more generous than just a bottle of wine! If you’re not a drinker, these still look gorgeous on a mantle or sideboard. Adding a little class to your decor is as simple as a couple of glass decanters. If you like more of a modern look, find decanters in whites and greys. 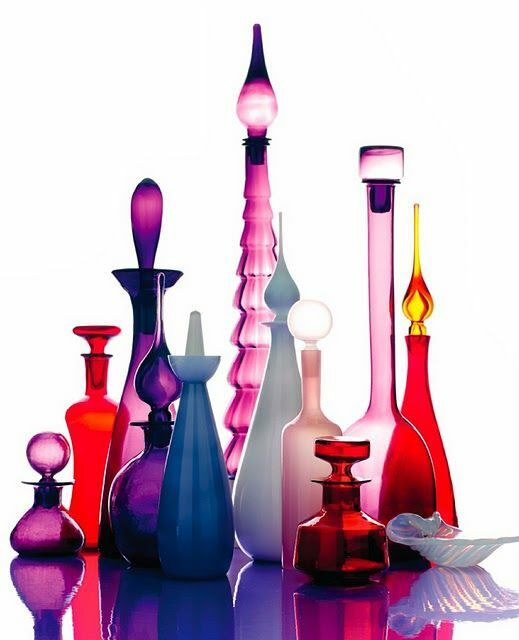 Hand-blown pieces by Blenko Glass are the most collectible. 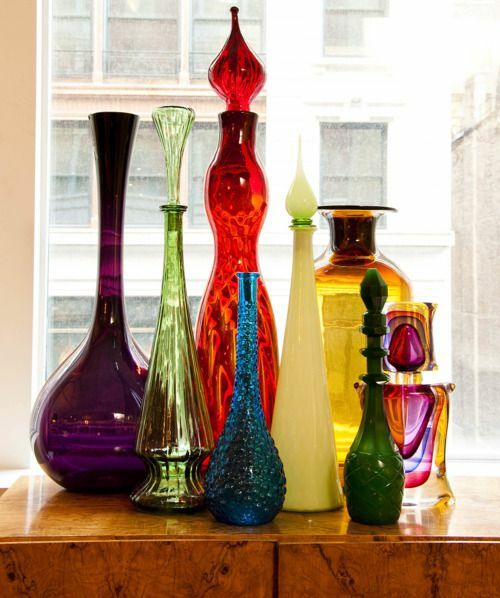 A family-owned business since the late 1800’s, Blenko Glass became widely popular in 1947. Full-time design director Winslow Anderson received several Good Design Awards from the Museum of Modern Art in 1950. The most collectible pieces are from Blenko’s “Historic Period”. This is a time frame which begins with Anderson in 1946 and includes the work of John Nickerson up to 1974. Wayne Husted is my favorite Blenko designer. His glass decanters propelled the company into more cutting-edge design. Check out Blenko Collectors website for more information on designers and how to know if your piece is a Blenko. 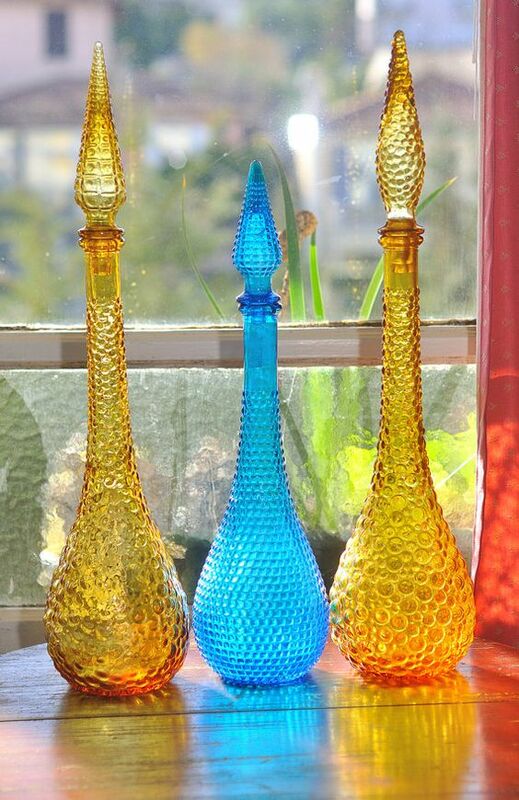 Investing in glass decanters from Blenko Glass is a nice way to add some extra value to your home decor. If you’re wanting to buy things to decorate for the holidays, invest in small, valuable pieces. Buying cheap, breakable items that you won’t care about from year to year, is a waste of money and bad Feng Shui! Music Alert! 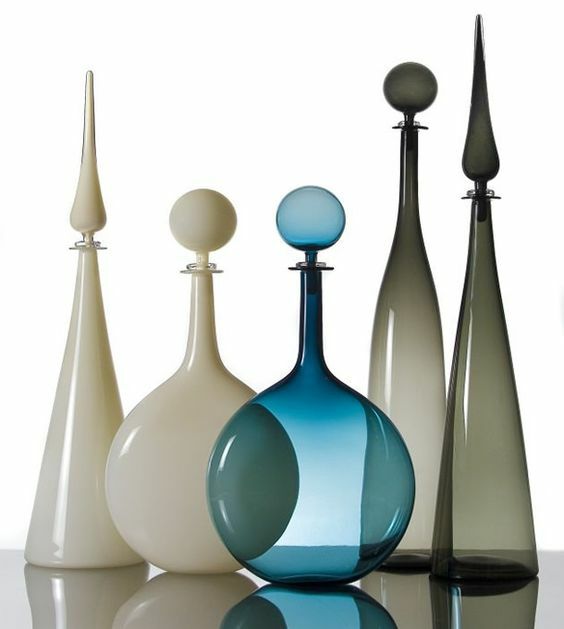 Genie vases also hail big time to the disco era. Enjoy this Donna Summer remix by Danny Howells while you do your decorating. Most people are familiar with Venice or Murano glass makers, but Empoli is an almost equally famous center of Italian glass making. Empoli glass is similar to Blenko, but has thinner walls and smooth stoppers (not ground). Pieces are easier to find and are less expensive. because Empoli glass is specific to a region, instead of a company. Empoli was most famous for their green glass. 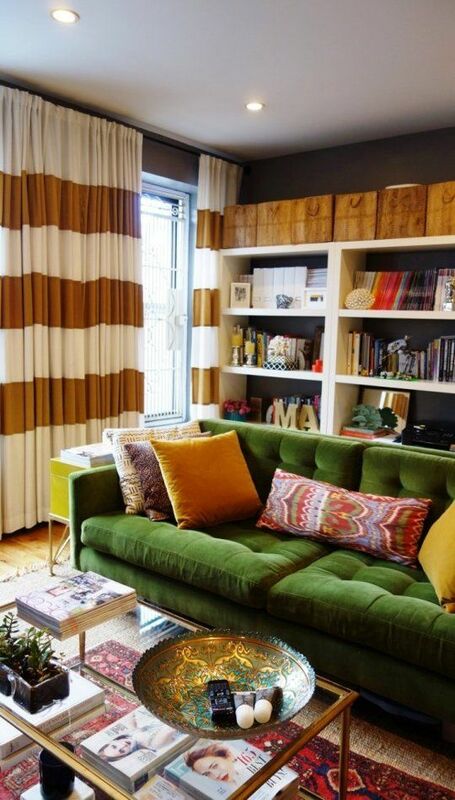 The trademark color, also known as Empoli Verde was hugely popular in the 1950’s and 1960’s. I love vintage green glass! Most of the glass from Empoli was imported into the U.S. and stamped “Made in Italy” on foil labels. As a result, vintage Empoli glass is largely unmarked. 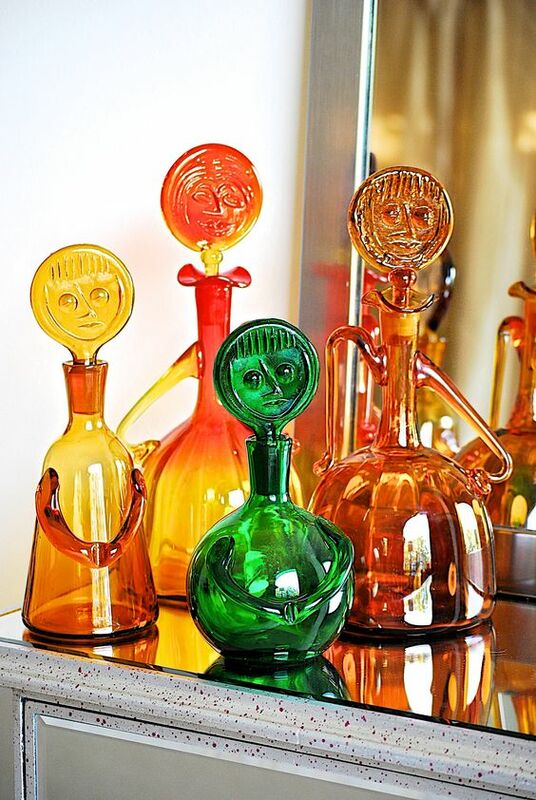 If you love the look of Blenko, but aren’t a serious collector, there are a ton of fun and beautiful vintage glass decanters available for the taking. Take a look at some of what Etsy has to offer. Some rare gems in there, I tell ya’! 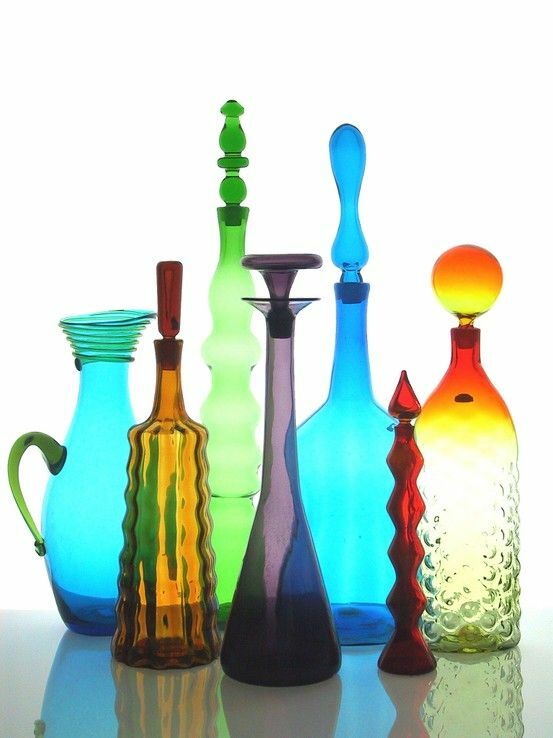 Vintage glass decanters are perfect one-of-a-kind decor accessories for your holiday home or hostess. They are so lively and beautiful, and always hold the possibility that a genie may live inside. Just be careful about how she helps your work life! Cheers!